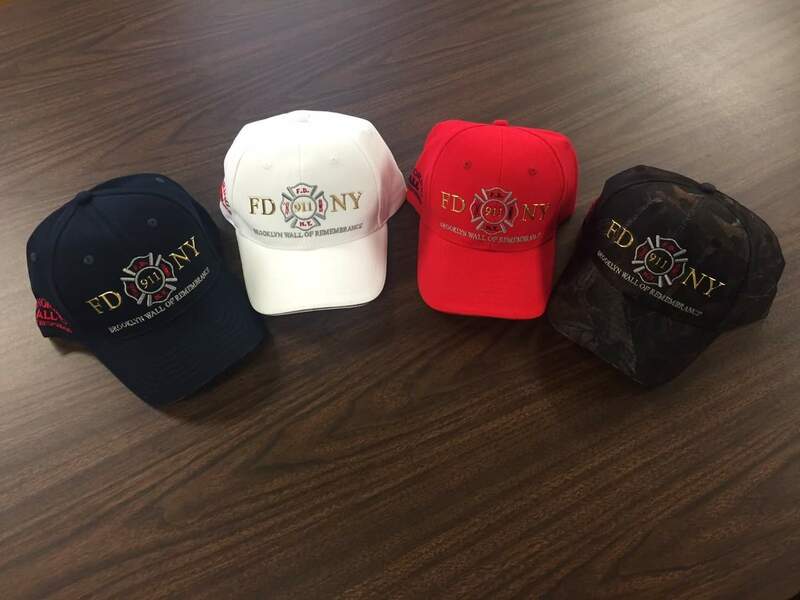 NY Fire Department 911 Commemorative Hats presented to the Long Branch NJ Fire and Police Departments by John Bonforte, Sr. of Monmouth Rubber & Plastics. 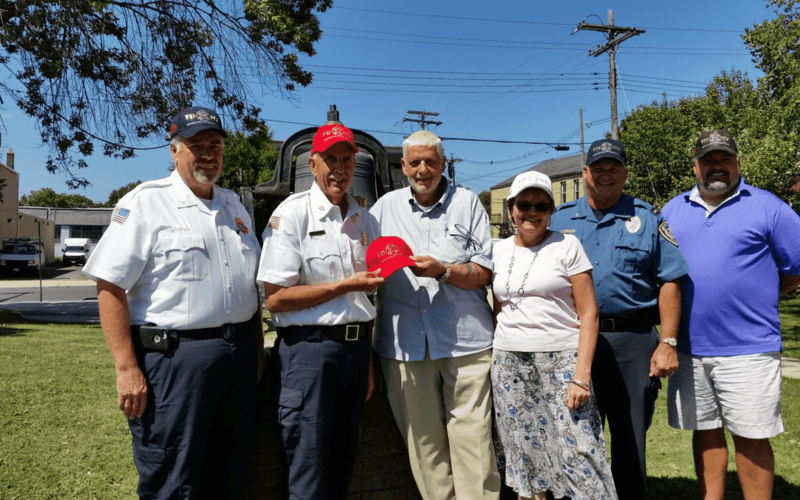 (Long Branch, NJ) On August 23, 2016, Monmouth Rubber & Plastics donated NY Fire Department 911 Commemorative Hats to the Long Branch Fire Department and Police Departments at Long Branch City Hall. The NY Fire Department 911 Commemorative Hats were purchased from “Wall of Remembrance” by Monmouth Rubber & Plastics in honor of Francis “Tiny” Hayes who had 50 years of service with the Long Branch Fire Department. The “Wall of Remembrance” Park is located in Brooklyn NY and stands as a graceful and beautiful tribute to those who made the ultimate sacrifice on September 11th, 2001. The presentation was made to Ron Guidetti, Long Branch Fire Chief; Kevin Hayes, Director of Building and Development, Fire Marshal; and Jason Roebuck, Director of Public Safety. The hats were presented by John Bonforte Jr., John Bonforte Sr. and Jo Ann Buonomo of Monmouth Rubber & Plastics. John Bonforte Jr., President and COO said, “Francis “Tiny” Hayes, gave 50 years of his life for us and who along with many others put their lives on the line to serve and protect us; and if need be, the ultimate sacrifice so that we all would have a better opportunity to enjoy and prosper in the many freedoms and liberties that we all have and enjoy today.” “They are not gone they live on and this small token is appreciation for what all those unsung heroes have done” said Jo Ann Buonomo, Office Manager. Fire fighters and police department. John Bonforte Sr., Technical Support and GM stated, “We wanted to honor Tiny Hayes and those who served before him and how we currently would like to connect his memory on a local level so young people can relate to his story. The hats are really about people and making connection from the past to present for young people today and future generations“.